Ms. Speck’s skill as a researcher, and her dual heritage in Greece and Germany, enrich the text… Refreshingly, she covers — and then dismisses — the subject of eating whole grains for health in the first half-dozen pages. She’s interested in flavor first, texture second and history along with both. The Wall Street Journal – Against the Grains No More! 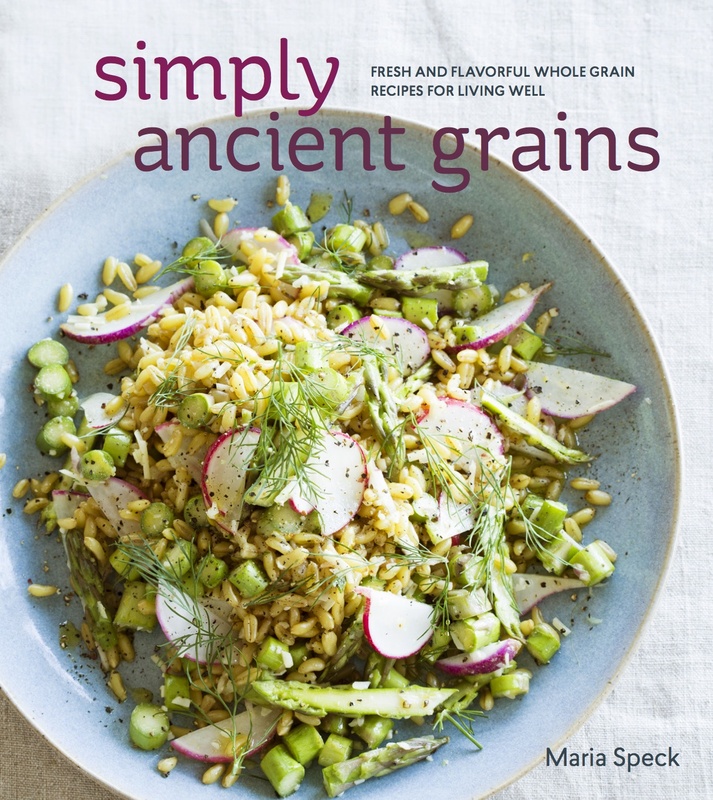 Grain guru Maria Speck’s new cookbook Ancient Grains for Modern Meals has shown me the proverbial light… Pick up a copy of the book, and you’ll find ideas for breakfasts, dinners, desserts, and breads from Speck’s rich heritage alongside beautifully vibrant photography of select dishes. The breadth and variety present in the collection also reinforce the idea that with the recipes come entire culinary traditions condensed, refined, and recorded for your own gastronomical pleasure. Once staples of ancient societies, heirloom grains have become the foundation of a food trend— and not just in the crunchy, hippie, healthy culinary circles. The new grain is from the Old World. Whole grains are popping up on restaurant menus and in home kitchens, and this piece includes tips on pairing grains with grapes, in addition to recipes for Fish and Fennel Stew with Ouzo over Couscous and Lamb Burgers with Bulgur and Mint. A reporter visits “cook the book” clubs. One of them serves a colorful menu from Ancient Grains for Modern Meals, reminding the writer of a “veritable Cézanne painting”. 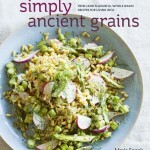 Here & Now’s Chef Kathy Gunst chooses her four favorite cookbooks of 2011, including Ancient Grains for Modern Meals. As more Americans incorporate farro, quinoa, and spelt into their daily menu, Ancient Grains for Modern Meals, arrives just in time… Author Maria Speck peppers helpful culinary guidance and recipe variations throughout this book while also offering a handy shopping guide to source these grains in your area. Now that Speck lives in the U.S., she understands that cooking at home is a task most people rarely have time for… Thankfully, many recipes in Ancient Grains for Modern Meals include advice for busy people such as “To get a head start”, pointing out the parts of a recipe that you can make ahead, and give storage recommendations. [Maria] considers herself “lucky” for never having been introduced to whole grains as a health food via food pyramids, celebrities and newspaper Health sections. She learned to love them simply as part of a really good home cooked meal growing up in Greece and Germany. Lucky indeed. In this inspirational book, author and cook Maria Speck draws from her Greek mother’s cooking and the foods of her European upbringing to offer a sumptuous and alluring selection of recipes that would appeal to any cook. “Whole grains have cast a spell on me” are the first words in this excellent cookbook from Speck. Read on and they will cast a spell on you, and, like me, you’ll look forward to her next book.